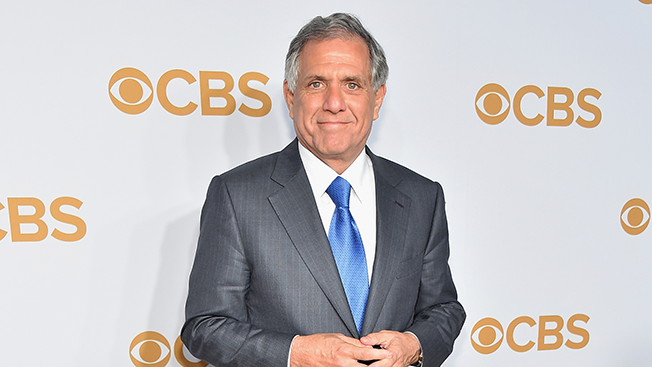 Les Moonves, CBS Corp.'s CEO and president, has been named chairman of the company. He replaces the ailing Sumner Redstone, who resigned Tuesday as executive chairman but will remain as chairman emeritus. Moonves, who joined CBS in 1995 as CBS Entertainment president, was unanimously elected by the CBS board after being nominated by Shari Redstone, Sumner Redstone's daughter and vice chair of the board. Moonves will continue on as CEO and president. Redstone, who is 92, also served as executive chairman of Viacom (when CBS and Viacom split in 2005, he was chairman of both companies), but there is no word yet about his future at that company. UPDATE: "The Viacom board of directors is scheduled to meet tomorrow," Viacom said in a statement late Wednesday afternoon. Two weeks ago, Viacom and CBS were sued by a shareholder, who questioned Redstone's mental competence—which led investors to question whether Redstone should continue running both companies. "I am honored to accept the chairmanship of this great Company," said Moonves in a statement. "I want to thank Sumner for his guidance and strong support over all these years. It has meant the world to me. I am particularly grateful that Shari Redstone has agreed to continue in her role as Vice Chair of the Company. Her business acumen and knowledge of the media space remain very important to me as we move forward, and I greatly appreciate her support and invaluable counsel. I would also like to thank our excellent board of directors, who have contributed so significantly to our success. The people of CBS have achieved much together and I believe the best is yet to come." CBS said the board first offered Shari Redstone the position of nonexecutive chair, but she declined, citing her confidence in Moonves and her other responsibilities, including her work as co-founder and managing partner of Advancit Capital. "As has been accurately reported, my father's trust states his intention that I succeed him as (non-executive) chair at CBS and Viacom, and also names me as a trustee after his death," said Shari Redstone in a statement. "However, it is my firm belief that whoever may succeed my father as chair at each company should be someone who is not a trustee of my father's trust or otherwise intertwined in Redstone family matters, but rather a leader with an independent voice. I was honored to nominate Les as the CBS chair and am delighted to congratulate him on his new position. He follows in the visionary tradition of my father, and I know that Les will successfully lead CBS into the digital future." Her statement would indicate that Viacom CEO and president Philippe Dauman is unlikely to become chairman of that company. In October, Redstone gave Dauman the authority to make healthcare decisions if he should become incapacitated.